Come to think of it, all gaming-related art shows should happen at an arcade, which are already art galleries of a sort based solely upon the cabinets you find inside. More details can be found in the press release after the break. 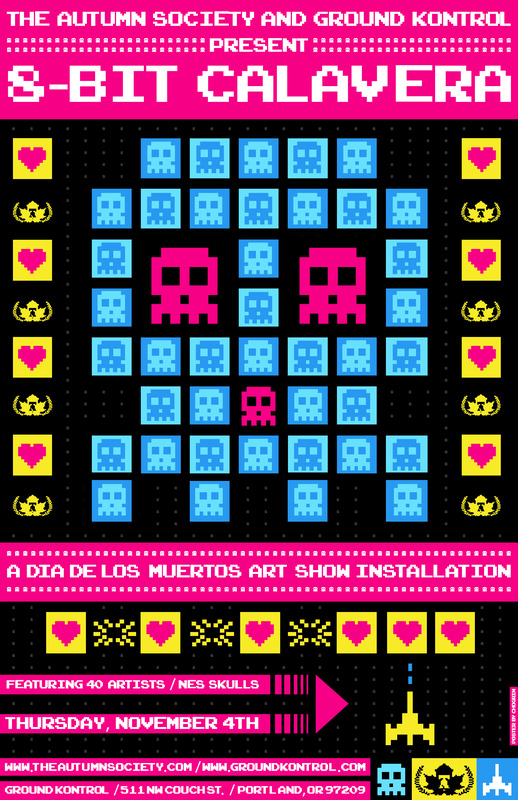 in the shape of a pixel skull. most unique Day of the Dead art shows ever seen! Kontrol’s stage through the month of November. The paintings will also be individually priced for sale. Our tremendous thanks to The Autumn Society and its artists for making this happen! to fundraisers, the Autumn Society will rise to any creative need or challenge.